TouchingMemories located in the Paradise-Chico srea provides full service photo restoration and photo touch up services for your old and damaged photos as well as for your digital photos in need of touch up. 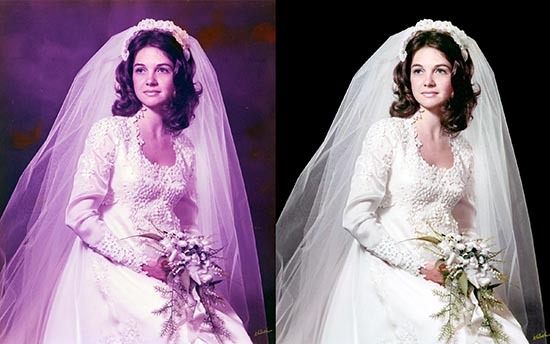 We use the latest in digital technology to safely restore your old or damaged photos to make them look like new again. It doesn't matter if your photo is simply faded or if it has been torn, the color changed, colored and written on by children, or spilled on. Touching Memories offers bulk photo scanning services for the scanning of prints, slides, and negatives. Dust off those old shoe boxes of photos and slide trays and archive your family's history in photos by having them scanned to CDs. Volume scanning of prints is available for as little as 15 cents a scan. Our scanning is done in our studio, so you always know where your photos are. View our bulk scanning price list.